Lettuce, in pre-made salad kits, was the closet thing I knew about eating leafy greens. Turning to real food, forced me to expand my food repertoire. If I couldn’t just open a package of pre-made food-like products, zapped away in the microwave, served for dinner, what was I going to feed my family? The desperation led me to the discovery of all sorts of new and exotic real foods. When you lived a life of pre-made salad kits and store-bought Pop Tarts everything is exotic! Over the years I have become fluent in: swiss chard, beet greens, kale, collards, mustard greens, and so many more. Trust me, if I can learn to speak the language of exotic leafy greens and other veggies, you can too. There’s hope. 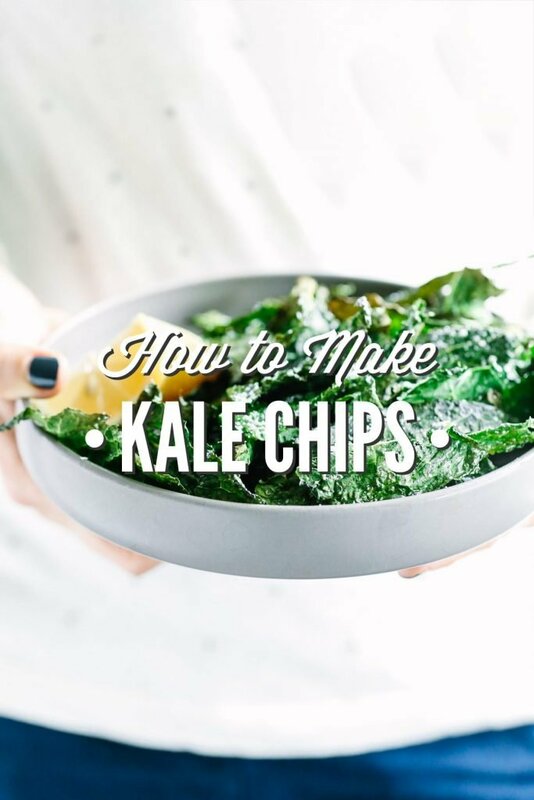 One of my favorite ways to prepare kale is making chips. Chips are super kid and husband friendly. What American doesn’t get excited when they hear the word “chip”? Crunchy, salty, melt-in-your-mouth. Yup, I am still talking about kale. My first hundred few attempts at making kale chips were downright failures. They would either turn out soggy, too salty, or too burnt. The dogs would even turn their noses up, so to the compost bin many went. 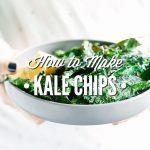 Over the years I have done lots of experimenting with kale chip recipes. Finally, one day, due to a mistake, I discovered the secret to perfect, crunchy kale chips. So, here’s the secret (shhh)– a baking stone in a hot oven! Preheat oven to 400° and place the baking stone in the oven. Allow the baking stone to heat up while the oven is preheating. Prepare your kale. 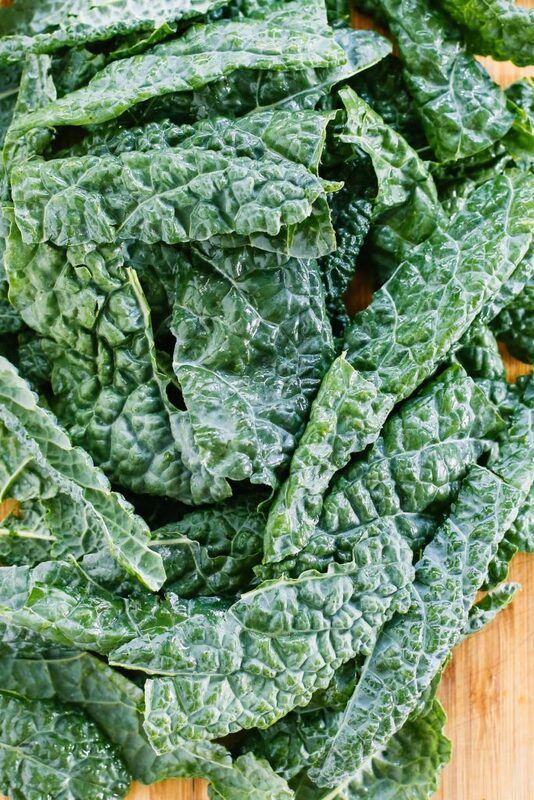 Wash and thoroughly dry each kale leaf. You don't want water remaining on the kale as that will lead to soggy kale chips and a compost bin trip. De-stem each leaf. Hold the base of the stem and run your hand along the stem, pulling, to separate. Once the leaf is separated from the stem, with your hands tear apart the kale leaves into smaller pieces. 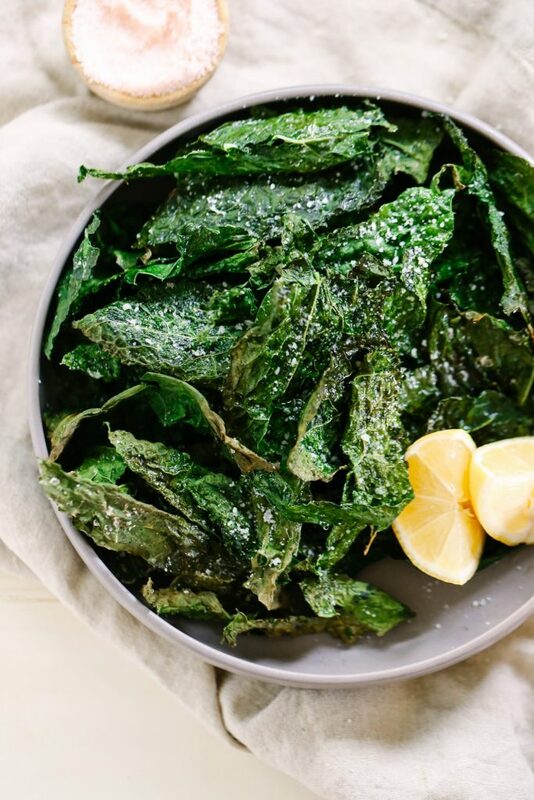 Place kale pieces in a large bowl. 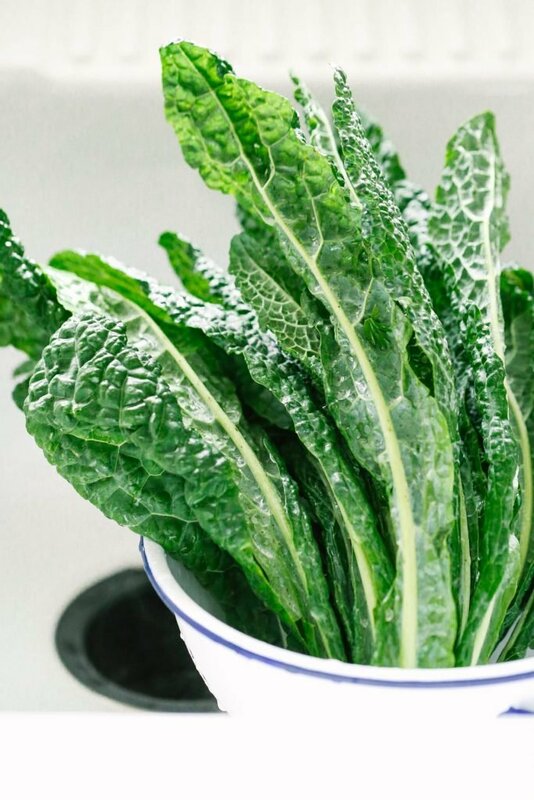 Massage the kale leaves with lemon juice, salt, and olive oil. Take the hot baking stone out of the oven. Place your massaged kale on the baking stone. You want a single layer of kale, each piece should touch the baking stone. No mountains of kale here. The kale will sizzle as it touches the baking stone. This is a good sign your baking stone is the perfect temperature. After 7-10 minutes your kale is done. 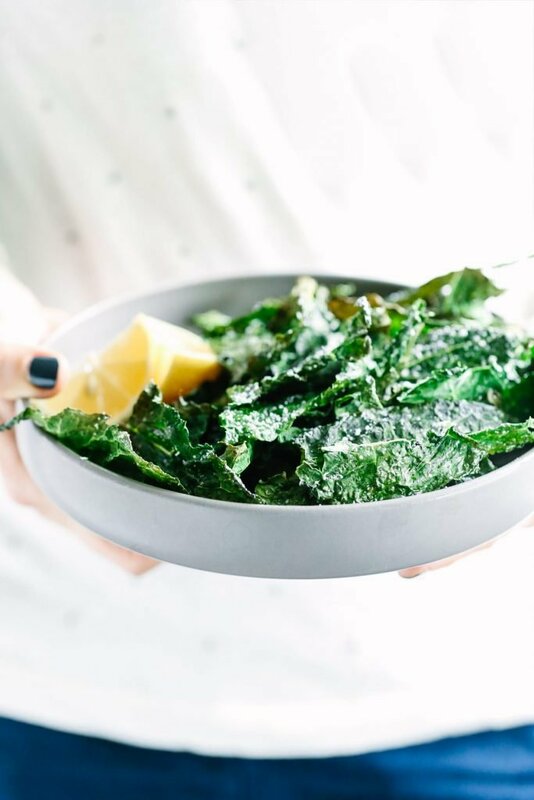 Remove from the baking stone and proudly eat those leafy greens! Well done! Kylee loves making these too! We make them at school from our garden, the kids love them and beg for them! What do you think about using a dehydrator? 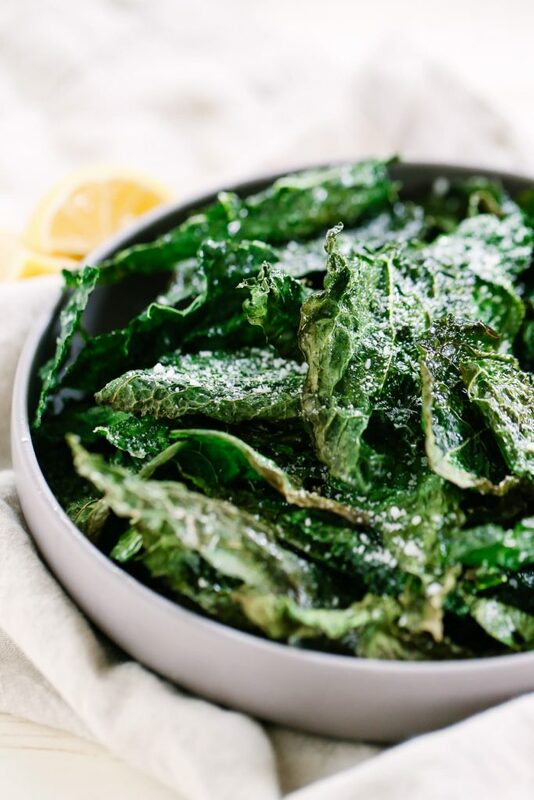 A dehydrator IMO makes the BEST Kale chips! They also can be stored for a couple days vs. these which don’t hold up well when stored. will it work without the stone? I think they would turn out great. I haven’t tried it though. Kristin, thanks for encouraging the trip down the real food environment. It is still a road being paved in our house! Do the put the stone back in the oven or just let the kale leaves sit on the stone on top of the oven? Seems like the answer should be obvious, but I could see it both ways and I am not yet confident enough to just try it both ways! So, like Teresa asked… do you place the stone back in the oven after arranging the kale on it? i really want to try this but don’t want to waste any kale! These are strangely addictive. I finally got some greens in my toddler’s tummy! Just curious if you have ever tried this with baby spinach? I think it would save time pulling of the stem and tearing kale up if it works. Awesome, Bethany! I’m pretty addicted to these little chips, too–it’s a bit strange, but they’re sooooo good. I’ve never tried spinach, but I love the idea! If you give it a try, let me know how it goes.